What this actually means is anyone’s guess, but the clever money has to be on alcohol-related behaviour. If this is the case, if these two couldn’t manage to stay off the sauce while attending a 3 day national training camp, then no doubt I shall shortly be reviewing their applications for entry into the Total Flanker Hall of Wazzocks. 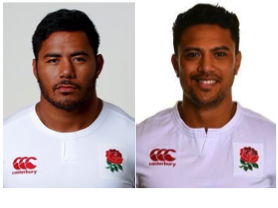 "Manu Tuilagi and Denny Solomona were sent home in disgrace from England's training camp on Monday morning after returning to the team hotel drunk following a night out."